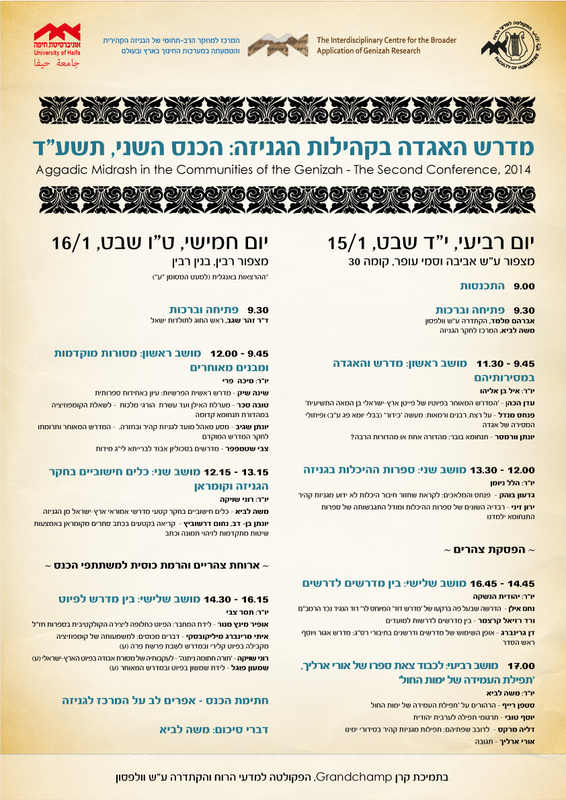 Back in 2007, I attended a Talmud conference at Bar Ilan University. It was an international meeting, and included a nice variety of scholars from both sides of the Atlantic, along with a “continental” Talmudist or two. 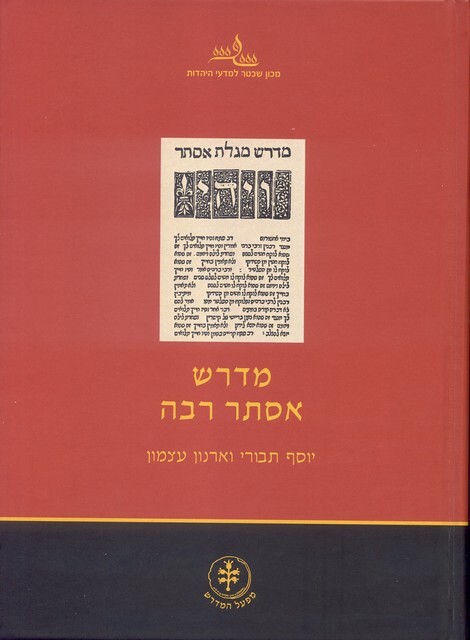 The proceedings have recently been published by Bar Ilan University Press under the title Malekhet Mahshevet: Studies in the Redaction and Development of Talmudic Literature (eds. Aron Shemesh and Aron Amit). Although the volume does not include all of the original papers, I’ll quote Uriel Shklunik by saying that the volume is like finely sifted flour. Some highlights are the ongoing debate about the dating of the Stam between Robert Brody and Shamma Friedman, Yaakov Elman’s continued research of the introduction to talmudic tractates, and Steven Fraade’s preliminary probe: “Anonymity and Redaction in Legal Midrash.” For an English table of contents, see here. In the first stages of preparing this dissertation, over a decade ago, I naïvely thought that I could quickly finish the menial work of collecting the material and collating it. Prof. Kahana recently fulfilled half of his prayer: his impressive edition and exhaustive commentary on the first half of Sifrei Numbers, the midrash on Numbers of the school of Rabbi Ishmael. This is not the first critical edition of Sifre Numbers. The first attempt at a critical text and commentary was made by Meir “Ish-Shalom” Friedmann, of Vienna in 1864. This was not a critical edition in the sense that we use today: Friedmann just corrected the textus receptus of the Sifre according to Yalkut Shimoni, and added a commentary. The second attempt came shortly afterwards, in 1907, when Haym Saul Horowitz published Sifre Numbers (and Sifre Zutta Numbers) as the first volume in the series Corpus Tannaiticum: Pars Tertia, published by the Gesselschaft för die Wissenschaft Des Judentums in Berlin. (Prima and Secunda of the Corpus were the Mishna and Tosefta, which were never published; J. N. Epstein was commissioned to do the former but “only” managed to produce the Prolegomenon that he then translated into Hebrew). This edition had a real apparatus criticus and a short commentary, a real step up from Friedmann’s. 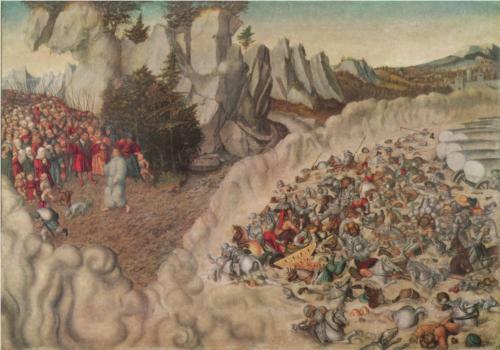 Horowitz also almost completed the Mekhilta of Rabbi Ishmael and started work on Sifre Deuteronomy – both were published posthumously by Haym Rabin and Louis Finkelstein, respectively. The latter work was the last publication of the Gesselschaft, in October 1939. Horowitz’s editions, however, suffer from three serious drawbacks. Their text is eclectic, based on ed. princ. (better than the textus receptus in Friedmann’s editions, but still not a good text), and it did not make use of all the manuscript material, which was not all known to Horowitz. Ed. Kahana, published a mere 104 years after ed. Horowitz, rectifies these problems: Kahana knows all the mss material – and has better knowledge than anyone of all the medieval citations and quotations of the Sifre as well – and strictly adheres to the best-text method of editing critical editions. This method is not without its critiques – Peter Schäfer and Chaim Milikowsky both come to mind – but in the case of the Sifre it is probably the best one, because, as Kahana attempts to prove in his dissertation, all of the MSS of the Sifre represent a single text-type, unlike, say, Bavli Karetot or Moed Katan, or Hekhalot literature. The commentary (for half the Sifre) spans two volumes. Kahana notes that he attempted to follow Saul Lieberman’s model in his exhausitve Tosefta Ki-feshuta, in that he tries to expand the discussion beyond the correct reading of the text, while paying close attention to these readings, believing that they hold the key to a correct understanding of any rabbinic text. However, Kahana differs from Lieberman in two respects. The first is an outcome of the text Kahana chose, Sifre Numbers. Unlike Lieberman, who had two MSS and one ed. Princ. to work with, plus a smattering of Geniza fragments and citations in Medieval Authorities – and no medieval commentaries on his work at all, Kahana’s text has five whole MSS, fragments, some from the Geniza (all discovered after the 1982 dissertation, and one, styled ב1 in the edition, discovered two summers ago by Ezra Schwat), two medieval commentators (R. Hillel b. Elyaqim “from Greece”, the “Raavad”, in fact a Tosafist, and countless citations in later biblical commentaries on Numbers. On top of that, the Sifre was emended more often and more freely than either Mishnah or Tosefta, often according to a parallel in the Bavli – other times according to other works. The production of a critical edition is thus more complicated, fraught, and methodologically nuanced for the Sifre than for Tosefta. The second respect in which Kahana differs from Lieberman is his eye for matters of style, patterns, ring compositions and other such rhetorical devices. Kahana has published several papers on these devices in other works, and is happy to employ these tools when he can. This is but an indicator of the great generational shift in Talmudic studies, from a philological-historical approach to a philological-literary one. Being half a work has some disadvantages. The three-volume set has no index, for example. This is probably going to be appended to volume 6 (or whatever the final volume turns out to be), but in the meantime, readers have no way of finding the amazingly useful surveys of terminology of the Sifre that dot almost every line of the commentary, or discussions of other midrashim and their manuscripts. Kahana did append the text of the entire Sifre to the edition, but without the apparati that are – in his own words – essential for understanding the text. Scholars, beware of citing the second half of ed. Kahana without reading through the manuscripts! Time will of course heal all wounds, and the remaining volumes of the text will have a complete edition and indices to everything. In the meantime, you can buy a searchable PDF edition of the work for a mere 300 NIS (150 if you already spent 200 NIS on the book!). The set also comes with Kahana’s Prolegomena which are actually still quite important and useful, and not found in most libraries outside of Israel. Reviews will of course be published of this impressive (half a) work, but for the moment we can simply be content with a piece of advice cribbed from Kahana himself (about Lieberman’s TK). From now on, when you’re learning a rabbinic text, try to find a parallel in the first half of Sifre Numbers. Then at least you’ll know what you don’t know.